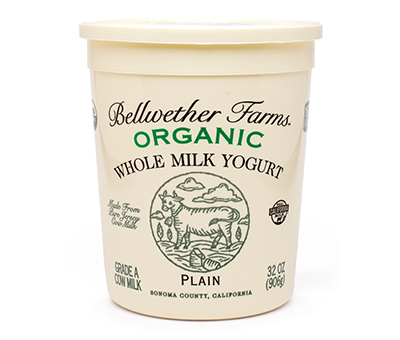 Bellwether Farms’ Organic Whole Cow Milk Yogurt has a sweet-tart taste and lush creamy texture. 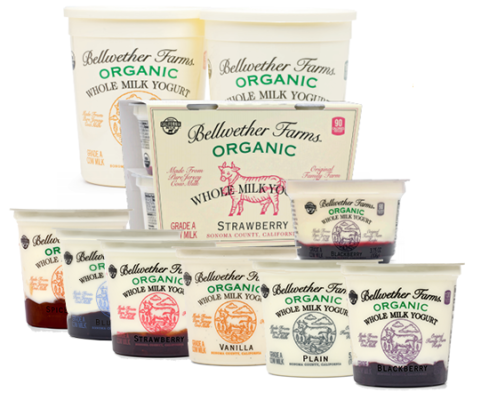 By using the highest quality milk from Jersey cows, we have created a richer, creamier yogurt, without straining, adding thickeners or cream. Jersey cow milk naturally has more digestible A2 protein and fat than other cow breeds. 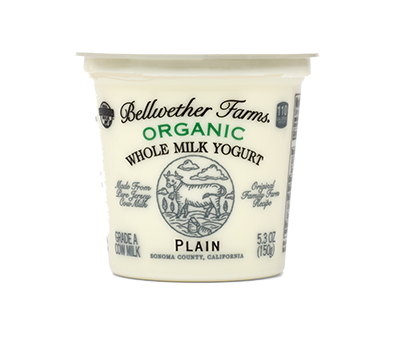 When cows eat mostly grass at pasture as these do, the milk is full of even more good fats. 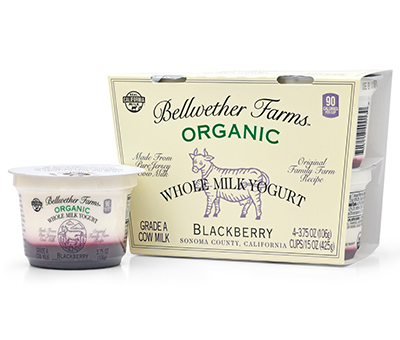 Adding carefully-selected ripe fruit and as little sugar as possible delivers the probiotic benefits you expect. You can see the goodness right through our new, clear cups!